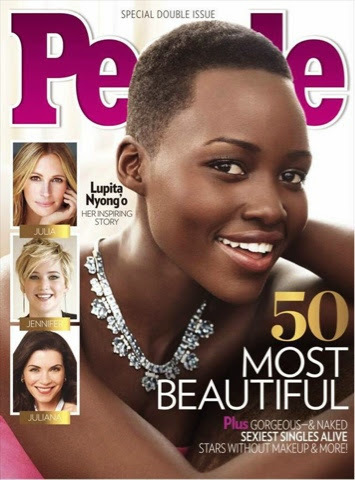 The woman of the year Lupita Nyong'o is on the cover of People's magazines 50 Most Beautiful Issue, and I'm ecstatic. I'm not surprised she's on the cover because she definitely deserves it. She's the lady of the year, smart, beautiful a great charismatic personality. “This year’s process was as unanimous as I’ve ever seen it,” staff writer Julie Jordan told the Daily News Wednesday as the 25th Anniversary issue was unveiled.